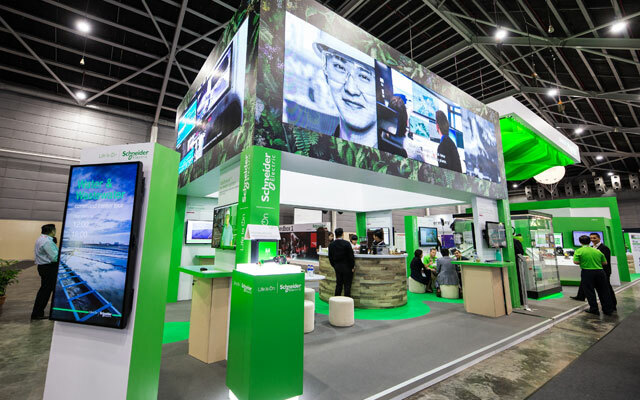 The inaugural Industrial Transformation Asia-Pacific (ITAP) presents the latest technologies and solutions to enhance competitiveness – alongside a creative way to plan and run a tradeshow. Organiser SingEx Exhibitions and international partner Deutsche Messe decided against replicating the world-renowned Hannover Messe as an Asian edition. Instead, they chose to focus on specific applications and opportunities for Asia-Pacific businesses to start, scale and sustain their industrial transformation journey. The event covered sectors such as aerospace, automotive, biomedical sciences, chemicals, consumer goods manufacturing, electronics, marine and offshore, oil and gas, and precision engineering. The aim was to create a strategic platform that could evolve with these industries, shaped by current leaders and experts, yet encouraging newcomers as well. Companies could exchange best practices and forge new partnerships to tap on the region’s growth. Starting a new tradeshow isn’t easy, let alone running it well to satisfy partners, exhibitors and attendees. From stimulating awareness and interest among companies to participate, the organising team then had to market the event, and draw buyers and visitors to the exhibition and simultaneous conference. “We recognised the strategic importance of the event in spearheading economic progress and also synergies that can be drawn through community collaboration,” said James Boey, executive director, SingEx Exhibitions. Another challenge was to maximise exposure for exhibitors while enabling buyers and visitors to cover the two halls (20,000m2) efficiently. A further consideration was to live up to the event’s name by using innovative technologies and creating multi-faceted, seamless touch points for attendees. SingEx set about engaging governments and the business community. For a solid foundation, it first tapped Singapore government agencies to form the steering committee. An international advisory committee was also formed, comprising leading MNCs from the European Union and Japan with strong presence in Singapore, and trade associations. The show featured five country pavilions. Many advisory committee members became partners with prominent stands. While transformational roadmaps are important, in reality, players are of different sizes and at varying stages of adoption. “We developed a unique ‘Learning Journey’ to help attendees navigate the event and maximise their return on engagement and learning,” Boey explained. Beginners, early adopters and trailblazers were channelled to well-laid-out exhibition sections and sessions, which included two learning labs, two ‘sandboxes’ and a novel interchange booth – a SingEx knowledge-exchange platform to facilitate offline to online engagement among exhibitors and attendees. On the sidelines were a plenary hall and two ‘theatres’. Some 2,400 visitors registered for 110 guided tours over three days. “ITAP 2018 was well-represented by professionals from a wide spectrum of industrial sectors who shared their valuable knowledge and skills with over 15,000 global attendees,” noted Boey. Founding partner Siemens’ big islands, for instance, stood out in the industrial automation and digital factory sections. 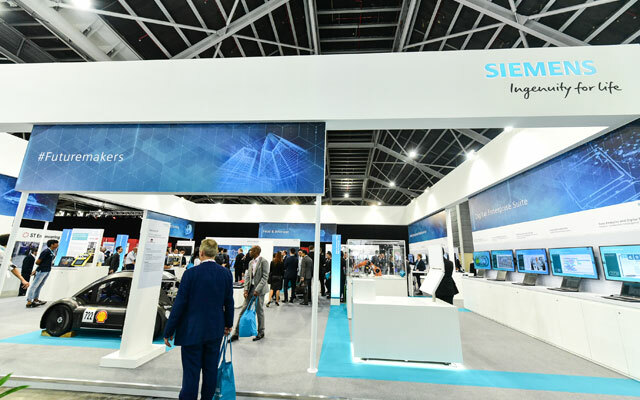 Siemens had a separate registration desk in the foyer for invited visitors and conducted special tours of its pavilions. For sustenance, Rasel Catering offered international F&B with local elements, such as curry puffs, laksa and chicken rice. It also introduced new technology – the ‘IBOX’, an innovative way to reduce queues and waiting time. People could use a tablet or download the app to order food in advance and collect at scheduled times. Six food kiosks also drew a steady stream of people throughout the day, as did the casual dining area with complimentary refreshments for VIPs, speakers, conference delegates and media. ITAP 2018 was one year in the making. With strong public and private sector support, and creative planning and design, it drew a good turnout. It showed the business of Industry 4.0, not just gadgets or slick presentations. Post-exhibition, several exhibitors hosted technical visits to demonstrate various advanced manufacturing facilities and innovation centres.